Cyrsti's Condo: Is It Ever Really Too Late? Is It Ever Really Too Late? I have made no secret over the past several years of how more than a couple times, I have been called anything from transgender "pretender" to "just another old guy on hormones." Because of course, I didn't Mtf transition until later in life. In the Navy during World War II, Robert Astey flew combat missions, and later became a commercial pilot, a mutual fund senior vice president, as well as a husband and father to three children. Then at age 55 he began a transition to living as a woman, renamed Robina Asti, and was soon legally recognized as female. 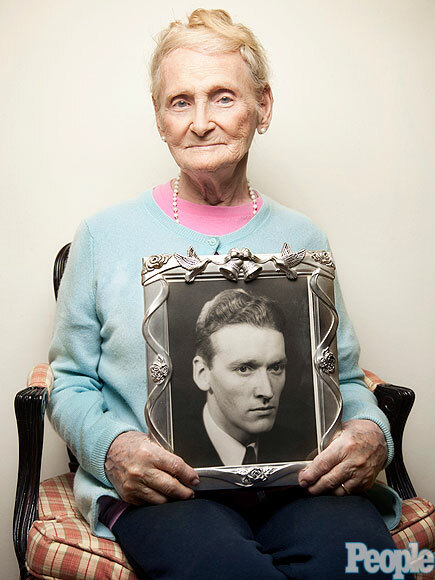 Today, at age 93, after a "glorious romance" with a the husband she met in 1980, she has become something else – a trailblazer, having won a victory that makes it much easier for transgender spouses to get Social Security survivor benefits. The Naval lieutenant (who still pilots aircraft) says she never set out to be a pioneer. But that's how she's been hailed by the legal team that helped Asti launch the challenge to win her husband Norwood Patton's survivor benefits that she believed were rightfully hers following his death in 2012. I guess just "another old guy on hormones" did make a difference! Even though the whole time she was just a pretender!